Sensor networks are enabling observation of physical, biological, chemical, enterprise, urban, social, and personal processes up close, and at spatial and temporal details that are simply impossible otherwise. The confluence of network scale, node resource-constraints, coupling with the physical world, data integrity requirements, and combination of computing, communication, sensing, and actuation make these systems particularly hard to design, and raise significant challenges to their performance characterization and simulation. Experience with this technology in recent years has also led to the realization that the early view of sensor networks as "smart dust" – a large and ad hoc cloud of simple devices - needs to be considerably expanded to a view of these systems as multi- scale, multi-modal, multi-user rapidly-deployable actuated observing systems. Moreover, as the embedded sensing technology moves from scientific, engineering, defense, and industrial contexts to the wider personal, social and urban contexts, a new class of embedded applications are emerging which draw on sensed information about people, objects, and physical spaces, integrate with the global Internet and cellular infrastructure, and raise significant issues of privacy and data sharing. The talk will also discuss the challenges posed by this transition. 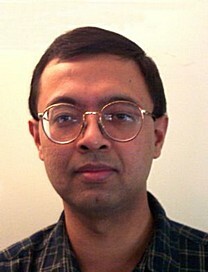 Mani Srivastava is a Professor of Electrical Engineering at UCLA. He is also associated with UCLA's center for Embedded Networked Sensing (CENS) where he co-leads the systems area research. Before joining UCLA, he received his Ph.D. from UC Berkeley in 1992 and worked at Bell Labs Research from 1992-1996. His research interests are in power-aware systems, embedded sensing, wireless networks, and applications of sensor networks. He current serves on the editorial boards of ACM Transactions on Sensor Networks and the IEEE/ACM Transactions on Networking, and is the Editor-in-Chief of the ACM Mobile Computing and Communications Review.